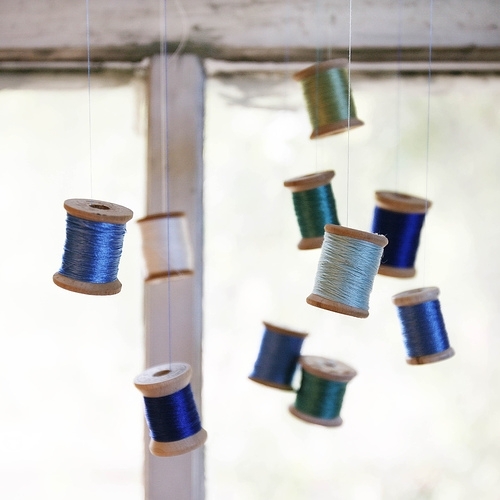 Thread on Spool or Twine or Wool? Take your pick. My fav! Such earthy colors. 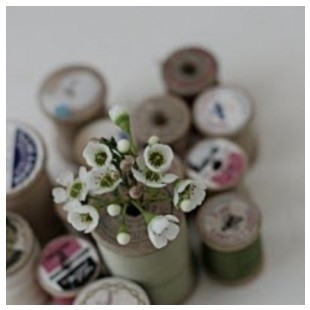 Vintage Spools, pastel colors & flowers. 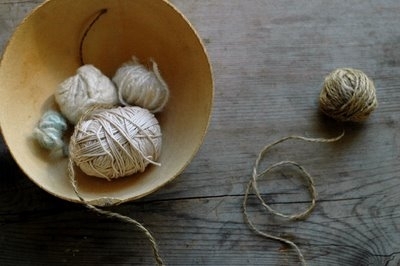 Twine in a bowl anyone? 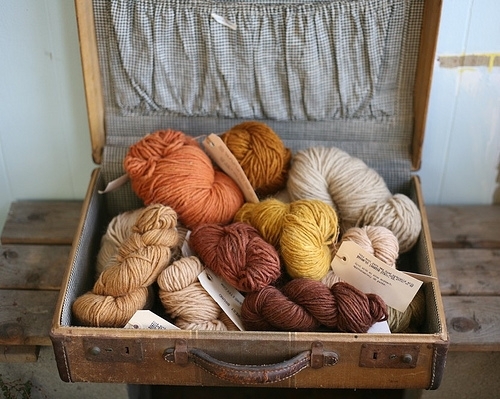 Warm colors & warm wool in an old fashioned briefcase .Drool. If you missed my last fetish post go right here. i feel like learning how to knit now! Nice. Amazing how a bunch of balls of yarn can look so nice and cozy!